A Portland native, I received my veterinary degree in 2006 from Oregon State University. 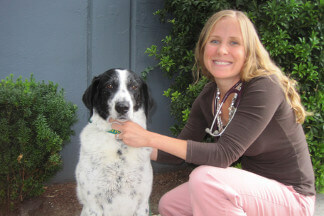 Prior to joining Northwest Neighborhood, I practiced veterinary medicine in Olympia, Washington. My professional interests include dermatology, geriatric medicine, and end-of-life care. I share my home with my husband, two daughters, and our dog, Kami. My personal interests include cooking, reading, outdoor activities, and anything artistic.